Steel Windows and Doors USA, unlike most of its competitors, commits a majority of their time making sure that the production, installation and maintenance of their windows and doors maintains a high level of excellence. To achieve such high levels of quality and efficiency; Steel Windows and Doors USA dedicates itself to maintaining constant research, development and testing of every product that is manufactured and installed. As technology grows and the world becomes ever more globalized, it is essential that companies which deal in both manufacturing and sales understand the fine line between quality and quantity as well as adapting and updating their products to keep up with current codes and regulations; particularly, acoustic sound regulations such as STC and OITC. Focused on examining low frequency performance, the “OITC” or “outside inside transmission class” is the second most well known rating throughout North America. This particular rating is used to measure the exterior noise emitted by specific products and with that data, develop a performance log on the product as well as a products value when used in low to mid range frequency areas. A low frequency area most commonly contains frequencies ranging from 30,000 Hz to 300,000 Hz; much like in a home theater or recording studio. Furthermore, the OTIC rating represents transmission loss results ranging from 80 Hz to 4,000 Hz and therefore articulates results in decimals in contrast to the point system used in an STC rating. Above Tests Were Performed by Intertek Co.
From the chart above, it is clear that steel yields unsurpassed STC performance characteristics. Not only is it well suited to sound reduction specifications, but it also offers a cost advantage making it easier for the typical customer to obtain. Steel Windows and Doors USA prides itself on providing its clients with the utmost satisfaction and to do so, Acoustically Data cannot be ignored! Dealers of aluminum frames for windows and doors pride themselves on cost, ease of modification and durability in custom applications, but in order to have such low cost and “durable” products, they lack key characteristics; such as corrosion resistance, longevity, thermal qualities, fire ratings, strength and many more. 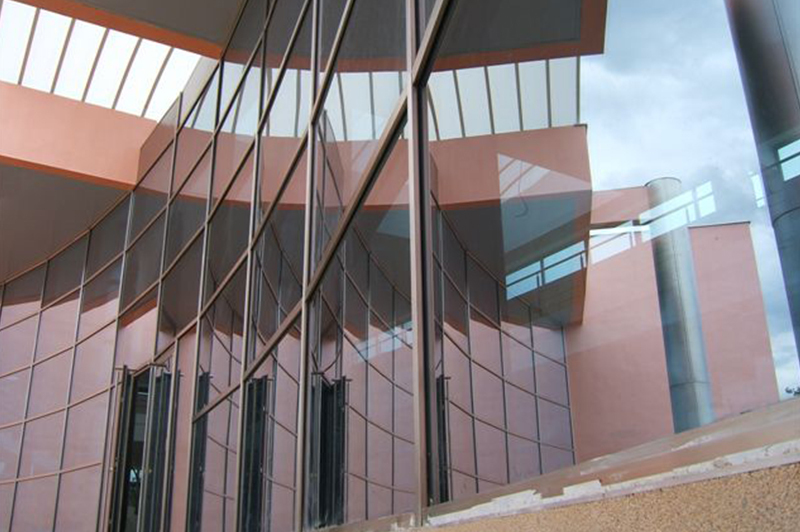 Our steel frames continuously out perform these products due to the fact that our materials are simply out matched. So before considering your next window or door purchase, consider this, windows and doors result for 1/3 of the average home wall area, how much outside noise do you want to hear?